Kathy has been working in the dental field for 28 years now, first joining Wharton Dental 18 years ago. She enjoys helping patients get the care they need and being around so many nice people and team members. Kathy is certified in both CPR and nitrous oxide. Kathy is from right here in Wharton, and she and her husband have two sons, one daughter-in-law, and two grandchildren. She very much enjoys caring for others and always putting their needs before her own. Outside of her work, she has fun watching movies and spending time with her family. Angela has been a member of our staff for 15 years now. 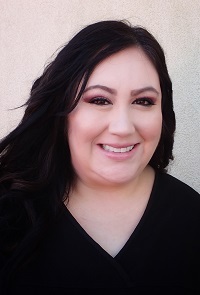 Originally from El Campo, she received her education from Dental Assisting Options and is certified in nitrous oxide and CPR. Her favorite part of her job is helping kind patients receive the care they need. Angela has two daughters named Ashley and Zoey. Outside of work, she enjoys shopping and spending time with her friends and family. 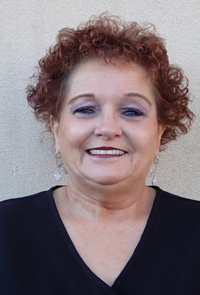 Donna is from Boling and became a member of our dental practice eight years ago. 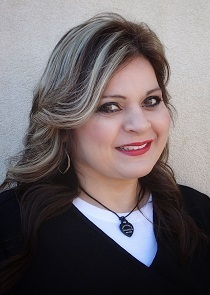 She attended Wharton County Junior College and the Dental Assisting Options program. She also pursues continuing education opportunities on a regular basis. Donna is also trained in CPR and nitrous oxide. Her favorite part of her job is getting to work with her boss Dr. Tiet. Family is everything to Donna! She loves being with her daughters and her grandchild. Her other hobbies include walking, traveling and attending concerts. She always enjoys meeting new people and getting to know them! 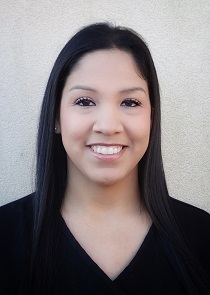 Melissa, is from El Campo, and she has been working in dentistry for 10 years and counting, first joining Wharton Dental eight years ago. 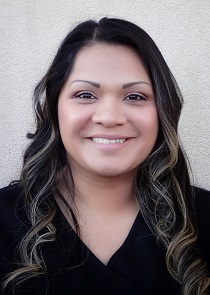 She attended Wharton County Junior College and received her dental training from the Academy of Health Care Professions. She is also trained in CPR and nitrous oxide. Melissa loves getting to meet new people every day! Melissa and her husband Joseph have a son named Jaxon, a daughter named Addyson, and a Chihuahua named Lucky. In her free time, she enjoys shopping, doing arts and crafts, baking, and watching baseball and football. 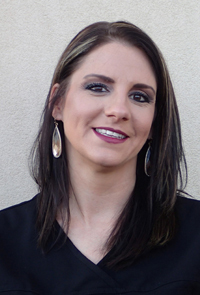 Crystal first joined Wharton Dental five years ago and has seven years of overall dental experience. 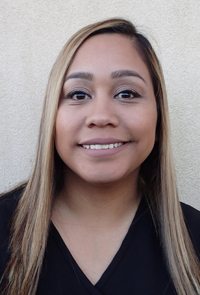 Originally from El Campo, she attended Houston Community College before undergoing the Dental Assisting Options program. She is also trained in CPR and nitrous oxide. She enjoys working with children and people in general! Crystal has four children – a daughter named Natalie, a son named Nathan, and twin sons named Ethan and Evan. Outside of work, she loves being with family, baking, cooking, and doing arts and crafts. 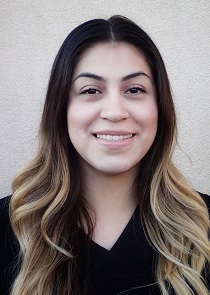 Jessica received her education from Dental Assisting Options in Sugar Land, and she is certified in nitrous oxide and CPR. Today, she’s been working in dentistry for eight years and counting. Her favorite part of this job is getting to meet different people and help them feel better about themselves! Originally from El Campo, Jessica has three daughters named Destiney, Layla, and Melviney. Outside of the office, she enjoys family time, watching movies with her daughters, and shopping. Julia has been a part of the dental field for three years so far. She is originally from El Campo, and she’s certified in CPR and nitrous oxide. She loves helping patients achieve their dream smiles and being able to comfort children as well through her work. Julia has an amazing daughter named Mia, who is a gymnast/cheerleader. When she has free time, she enjoys watching movies, dancing, spending time with loved ones, and doing activities with her daughter. She is a very festive person and a lover of all holidays! Lizette is from Corpus Christi, and she’s been working in dentistry for 13 years so far and is CPR certified. She studied at Del Mar College and has her Associates in Applied Science and Psychology. She loves meeting new people at the office! Lizette has been married for nine years and has a two year old son. Her interests outside of work include spending time with her family and traveling. Janel earned her Associates in Science from Del Mar College in Corpus Christi. She is also certified in both CPR and nitrous oxide. Today, she’s been a part of the dental world for 13 years and counting. 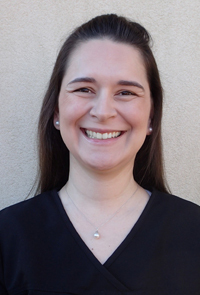 She greatly enjoys working closely with children and getting to know her patients so well. She is also happy to not have to be the boss! Janel’s family consists of her husband Josh (married 13 years) and her four children named Peyton, Kooper, Fynlee, and Maddox. The three oldest are big sports fans, participating in cheerleading, volleyball, football, baseball, basketball, softball, and more. The youngest, Maddox, is full of energy and was actually born with a congenital heart defect. She is their number #1 fan! When she isn’t busy at work or watching their games, she likes going to the movies and hanging out with friends.